Want to stay ahead of your competitors? Figure out their marketing strategies, improve upon them, and adapt them to your own business. Sites such as WhatRunsWhere, AdBeat, and AdPlexity help you do this by giving you access to important data such as where your competitors are running ads and which keywords they are targeting. By knowing this information, you can uncover new ways to target the customer base that both you and your competitor are after. In this article, we’ll compare WhatRunsWhere, AdBeat, and AdPlexity to give you an idea of how these “spying” sites work and which one is best for you. There are many benefits to “spying” on your competition. You can save time and effort, not to mention money, by not having to do all that work, research, and testing that your competitors have already done for you. It can help you identify what your goals should be and how you should go about reaching them. It can give you a deeper understanding of your customer base and how to target them. It can help you understand your industry better too. Looking “over your competitors’ shoulders” will give you a lot of ideas and inspirations for your own marketing campaigns. However, you must apply caution when spying on your competitors. Your goal here is not to copy their strategy. Copying someone else’s marketing or content strategy isn’t beneficial and has many risks. You won’t get anywhere by being a clone. You want to be different than your competitors and stand out in your industry, not a dull copycat. Besides, you may risk running into some legal issues, such as plagiarism. Your goal here is to understand your competitors’ strategies so that you can get good ideas and create a better strategy for yourself. For example, perhaps you’ll come across a blind spot or weakness that has great potential that your competitors are neglecting. You can focus on that spot (a certain demographic, keyword, or platform, for example) yourself. If you target the keywords that they are neglecting, you will probably get a better ROI than if you target only the keywords that they are already targeting, as that would only mean more direct competition for you. Tracking your competitors can also give you ideas about industry trends. For example, if you (a small business owner) see that your competitors are on Yelp and you aren’t, you should probably consider joining Yelp, too. By understanding what your competitors’ strategies are, you can stay ahead of them one step at a time. WhatRunsWhere is a service that helps you track “what runs where” in the online advertising world. You can use it to figure out where your competitors are advertising, including on which websites and search engines. You can also find out which keywords they are targeting. WhatRunsWhere is also useful for doing market research when thinking about advertising on specific websites or targeting specific keywords. In this section, we’ll look at some of the research options that WhatRunsWhere has to offer. Most of them can be found with AdBeat and AdPlexity as well, so we’ll explain them in this section. Ever wondered where your competitors are advertising? WhatRunsWhere can give you this information. Simply type your competitor’s domain name into the search box. WhatRunsWhere will give you a list of sites that are generating traffic to that domain. This is a useful way to get a general idea of what kinds of websites you should be advertising on. It can also help you target new customers by discovering new demographics to target. For example, if you see that your competitors are advertising on blogs targeted to a specific demographic, it may be useful to start targeting that demographic as well (after doing market research as well). Who Is Targeting a Keyword? If you are thinking about targeting a specific keyword on Google Adwords, it is highly beneficial to first do some market research on it. You may find that the competition for a certain keyword is very high or that much larger brands with huge marketing budgets are already targeting that keyword. In that case, it may be better to choose a different keyword to target. In addition, you may find that brands in a totally different industry are targeting that keyword. In that case, you may have misunderstood the keyword; perhaps it has several different connotations. You certainly don’t want to target people who have no interest in what you have to offer. You can also find out which ads are running on a specific domain. 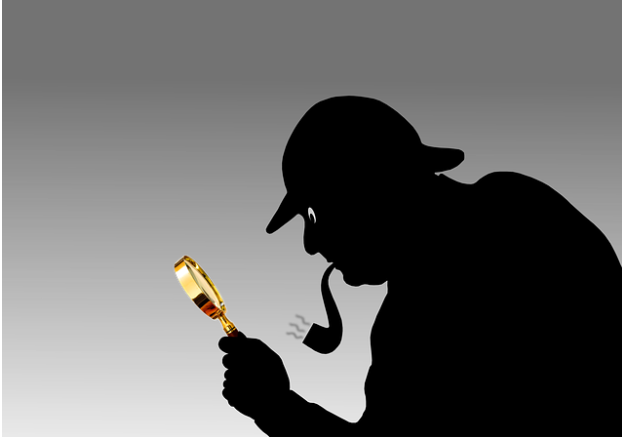 This is useful for large domains that get a lot of traffic; manual research without a tool like WhatRunsWhere often won’t uncover all the information you are looking for (or it will be too time-consuming). For example, if you are thinking about advertising on a certain well-known blog in your industry or on a news site, it is worth investigating which companies are running ads on that site. Again, this goes back to the idea that you don’t want to target people who have no interest in what you have to offer. If all the ads on a site are targeted to a different industry, for example, you might want to rethink advertising on that site. With WhatRunsWhere, you can also research the traffic your competitor is receiving through affiliate campaigns. If you find that a certain traffic source (such as a blogger) is generating a large amount of traffic for your competitor, consider offering that blogger better affiliate terms and rewards if they switch over to your affiliate program. You can also target those websites that have not yet joined your competitor’s affiliate program. Whether you are searching for a specific competitor’s ads, the top ads in a specific country or the ads running on a specific domain, you can get a clear picture of the exact creatives that your competitor created. In other words, you can see the exact banner ads, including their size, that your competitor has set up. WhatRunsWhere lets you track your competitors by setting up domain tracking. This way, you will always get updated data on your competitors and where their traffic is coming from. When performing one of the above searches, you can filter and sort your results to get more specific information. There are several filters you can use. For example, you can find out which countries your competitor is getting their traffic from. You can also find out what percentage of their traffic is coming from desktop vs mobile devices. You can select different time frames to see how your competitor’s traffic is changing over time. This way, you can get a better idea of both their short-term and long-term marketing strategies. If there is a sudden change in the last 30 days, for example, it probably signals that your competitor has been testing a new marketing strategy or traffic source. This is a great way to stay on top of industry trends so that you don’t get left behind. WhatRunsWhere collects data from only seven countries – the US, Australia, Brazil, France, Canada, the United Kingdom, and Germany. Its basic plan costs $299/month. They also have a premium plan, which costs $399/month. The premium plan is the one you are going to need if you want access to mobile data and the ability to filter results based on mobile, desktop, and native advertising. 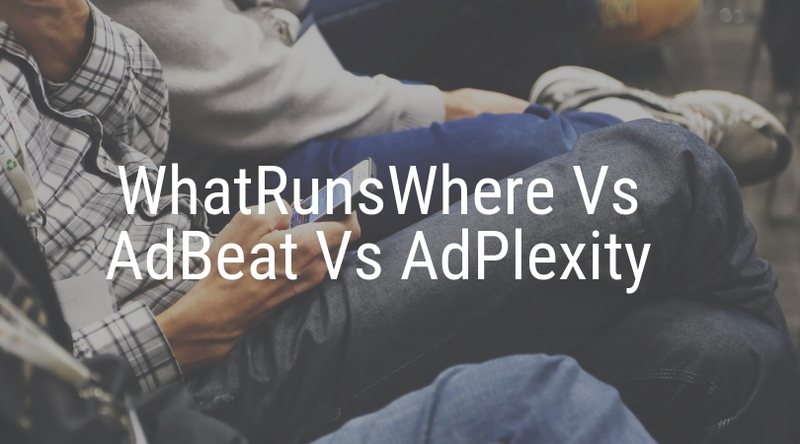 AdBeat is quite similar to WhatRunsWhere. However, it has certain advantages, such as better pricing and more plan options. AdBeat has all of the research options that are mentioned above in the WhatRunsWhere overview (though it doesn’t have the same advanced research capabilities for affiliate campaigns). You can search for a specific competitor’s ads across the web, get a look at the creatives that they are running, and find out which ads are being run on a specific domain. 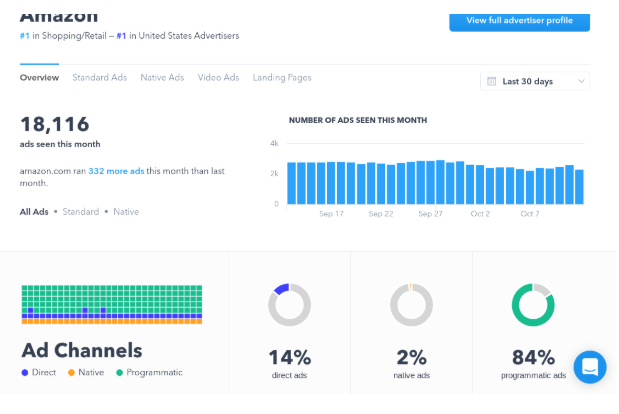 With each search, you will also get an Ad Impact overview, which will give you an idea of the ad spend of a competitor and the number of impressions they are getting, broken down by advertising source. In addition, if you have the Advanced Plan, you can also compare two specific competitors. This allows you to do more in-depth research into the marketing strategies of the top players in your industry. All research analysis results can be downloaded as a report. The filtering options you will get with AdBeat will depend on your plan. In order to filter by date range, ad network, and mobile vs desktop, you’ll need a Standard plan. In order to filter by country or specific device type (such as Apple vs Android), you’ll need an Advanced plan. AdBeat collects data from 26 countries, definitely an improvement over WhatRunsWhere’s seven. AdBeat wins over WhatRunsWhere in terms of pricing. Their cheapest plan, the Intro plan, costs only $99/month and gives you all of the basic information you need for advertising research. However, it is limited to 500 results and can only display results in a 30-day time frame. The Standard plan is still cheaper than WhatRunsWhere’s basic plan, which is $249/month. You will get access to 1,000 results, results from a 90-day time frame and with advanced filtering options, as mentioned in the previous section. The Advanced Plan gives you unlimited results and even more filtering options, as well as competitor comparisons. It currently costs $399/month. There is also an Enterprise option, the price of which can be negotiated. There are also two special plans, the Google plan at $79/month and the Google + Mobile plan at $129/month. These are for those who only want to do research on ads that are being run on the Google advertising network. Adplexity is another competitor spying tool. It offers a variety of plans and in-depth filtering options. AdPlexity has similar research capabilities as WhatRunsWhere. You can find results based on publisher, domain, and keyword. You also get access to information such as which devices and browsers a landing page is being displayed on. You can download entire landing pages and see which external pages or affiliate links are being promoted on it. This is for those doing research on mobile ads. Get access to data on your competitors’ ads, including information on which mobile ad networks are being used (over 100 ad networks covered), types of mobile ads, on which mobile phone carriers the ads are being displayed (over 120 carriers covered), which devices are being used, the type of internet connections being used, and more. This is similar to AdPlexity Mobile, but for data on desktop ads. This is for data on native advertising. This is for ecommerce businesses. Get access to performance data on your competitors’ products and stores. Discover the best apps to use for mobile ecommerce. Get mobile carrier proxies to see the conversion flow of your campaigns, test how your offers appear on different carriers, monitor your advertising and affiliate campaigns for compliance, and more. Over 80+ carriers in 30+ countries are supported. This is for those running ads in the adult industry. Get access to similar information as in Adplexity Mobile and AdPlexity Desktop, only in the adult industry. AdPlexity Adult is being offered on a separate domain than the main AdPlexity website. AdPlexity has many available options for filtering the ad results that come up in a search. You can filter based on ad type, such as popup vs. banner ads. You can filter based on exact device, by country, and by language. You can even see on which types of connections a landing page is being displayed (such as on wifi or 3G connections). You can also filter based on the duration of the advertising campaign. You can filter based on ad network; for example, you can view all ads running on the mobile AdCash network. This gives you access to advanced filtering options. For example, you can choose to only see popup ads that are running on the Adcash network and which have been running for a specific amount of time. You can see trends for different time frames based on volume or other metrics. You can view the top advertisers in your industry based on a variety of metrics as well, such as ad campaign duration. Adplexity supports 100 affiliate networks. Adplexity covers 75+ countries in AdPlexity Mobile and 32+ countries in AdPlexity Native. Each AdPlexity plan costs only $199/month for full access. If you want to access all plans or specific plans at once, you can get a custom price with the AdPlexity API plan. Each of the above three services has its advantages. For example, AdBeat has cheap basic plans while AdPlexity is great for ecommerce businesses. At the end of the day, it all depends on your needs and your budget.